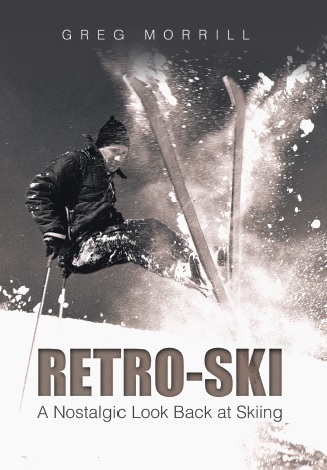 By the 1960’s the American West had emerged as the premier place to ski. As we Easterners sharpened our edges or put on an extra layer, we heard rumors of blue skies, warm temperatures, and powder days! No place received more hype than Aspen where skiers mingled with movie stars and the beautiful people. 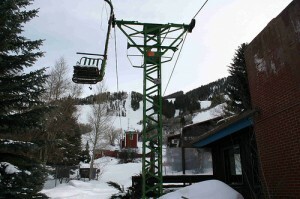 For many Eastern skiers including myself our first Western trip was to Aspen and our introduction to Aspen was the old single chair simply named “Lift 1”. When it was built in 1946 Lift 1 was billed as the longest chairlift in the world! I stayed at the Little Red Ski Hostel which as luck would have it was close to the base of Lift 1. My first morning dawned clear and I marveled that there wasn’t even a single cloud in the sky as I walked the two blocks to the lift. It looked like the Stowe single chair except there was a blanket fixed to the safety bar so when you closed it, your legs were covered. There was also a poncho-like cover on the back of the chair that could be pulled over you on inclement days. The lift was nestled in among the buildings and as the ride began I was actually riding over some Swiss chalet-style houses. Then the chair went over a large open meadow. Unlike Eastern mountains where typically you can see the top of the mountain from the bottom, Western mountains are broader which meant I could only see to the top of the first ridge and had no idea what lay beyond that ridge. After the meadow, the climb became steeper, passing over sparse Aspen trees. In fact some of the steeper pitches on the mountain share this slope: Corkscrew and Slalom Hill, for example. Finally after more than 5 minutes, I crested the ridge. Now I could see quite a distance ahead, not as far as the first section, but still a good distance – and no end was in sight! I was riding over denser Aspens now and the terrain wasn’t as steep. Over to the right was Ruthie’s Run; below were some wonderful woods lines that hadn’t been tracked out and it was days since the last storm! My feet were twitching to sample some of that snow, but Lift 1 droned on. After more than 10 minutes I crested the second ridge and there in the distance was the end of the lift. This section was about the same length as the second section so I had at least 5 minutes left. Now I was able to see further to my left towards Bell Mountain and get an idea of the size of the area. The expanse of wonderful terrain and great conditions was exhilarating. I was literally bouncing in the chair with excitement and there was no one to share it with. At some point I began yelling to my friends in the chairs behind me and they were yelling at me. The distance between chairs was enough that we couldn’t understand what the other was saying, but we got the point! Finally I was at the end of the lift and I literally burst out of the chair. Lift 1 had taken about 20 minutes to cover its 8000 foot length, that’s half again as long as the old Mansfield single chair! The excitement and anticipation that built up during those 20 minutes set the tone for the whole Aspen ski experience and made for a lasting memory. In subsequent visits with other friends who had never been to Aspen, I made sure we took Lift 1. I would go up first with a camera and record their expressions as they got off at the top. Their excitement let me recapture that first ride feeling. Lift 1 was removed in 1971. Its replacement was only about half the length so at least two lift rides were required to reach the same point on the mountain as Lift 1. Today there is a gondola on the Little Nell side of Aspen that goes all the way to the top of the mountain, but it doesn’t take 20 minutes and you’re not alone. It just isn’t the same!